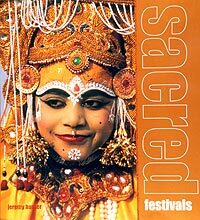 Author and photographer Jeremy Hunter leads the reader on an inspired journey across the world to record extraordinary festivals, rituals and celebrations in more than 45 countries across 5 continents. Against a backdrop of some of the world's most stunning landscapes, the human aspect of these extraordinary ceremonies is spectacularly captured and highlights the worlds wide diversity of cultures. Each photograph captures for posterity many wonderful ceremonies that have remained unchanged for hundreds (and in some cases thousands) of years - allowed to remain so, forgotten or passed by, unnoticed by the world at large. Sadly these culturally and spiritually rich occasions are in danger of dying out.